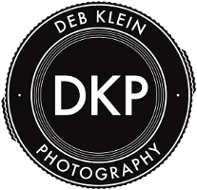 Welcome to DKP, your source in NYC for portraits and lifestyle photographs. Here, you can learn about me, see the work I do and the types of sessions I offer. Together we can work to create a series of images that you adore viewing and sharing, day after day. Based in Brooklyn, NY, I specialize in pet photographs that bring out your animal's true personality, and - when human and pet are together - the bond that is shared. I bring that same eye and collaboration to family and solo portraits and head shots, as well as images for business, social media, or dating profile. Perhaps you want family and friends' images collected and bound in a unique, customized coffee table book for your enjoyment, or as an unforgettable gift. Holiday cards, pics for media kits, artist profiles - we can do it all. GIFT CERTIFICATES available - what a great idea! Peruse the galleries, read more about me, and contact me. I'm ready to talk. EXHIBIT AT LITTLEFIELD MUSIC AND ART SPACE HAPPENING NOW until end of January. LITTLEFIELD IS AT 635 SACKETT STREET - MAP HERE.